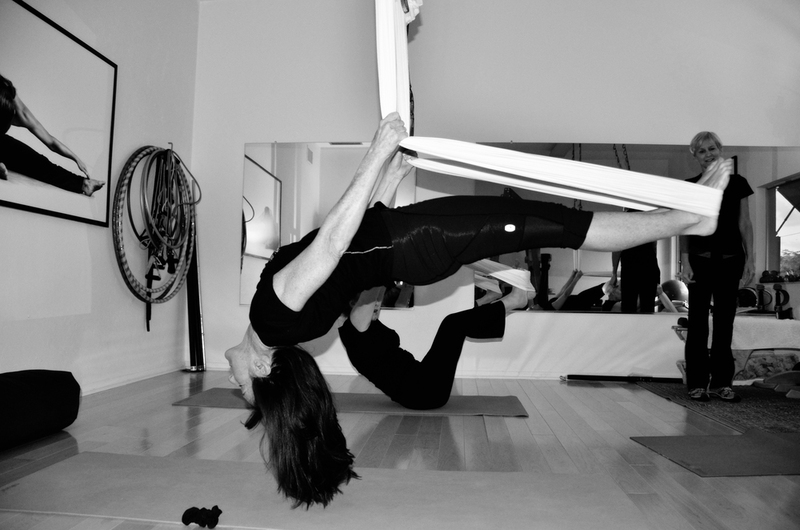 Antigravity ® Yoga is a comprehensive fitness technique designed to increase one’s overall health and physical agility while having fun and creating beauty. This unique combination of exercises, as a sequence, is intended to decompress one’s spine and align the body from head to toe while stretching and strengthening one’s muscles. The AntiGravity ® Hammock is a structural fabric that is connected from two overhead points acting like a swing. 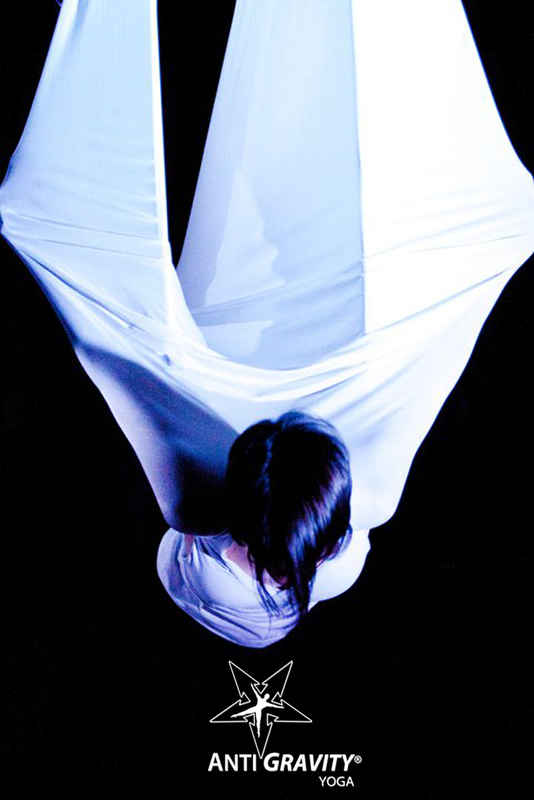 In AntiGravity ® Yoga, the hammock is used to change one’s dynamic relationship to the ground, allowing the participant to fine tune their body through unique exercises that challenge the laws of physics. The new yoga prop acts as a soft trapeze, supporting you as you master simple suspension techniques leading to advanced poses. Stretch further and hold challenging postures longer utilizing the AntiGravity ® Hammock. Zero-compression inversions that allow the circulatory and lymphatic systems to refresh while stimulating the release of neurotransmitters from the brain. Decompression of the spine through gentle traction and hydration of the vertebral discs. Unique fun experience that works risible muscles as well as functional muscles. Participants are asked to practice in leggings and shirts with sleeves that cover under arms (for your comfort). Fabric with some natural fiber is recommended. Slick fabric is slippery in the hammock. No self tanner or heavy lotion. No Metal! Jewelry, snaps, zippers, etc can snag the silk. Registration is required. Please call 239-404-8127 for available class schedules.